A report prepared by the main opposition CHP has shone a light on bitter truths about the conditions of Syrians in Turkey, with children particularly vulnerable to violence, sexual abuse and hunger. The age of many children forced into prostitution by gangs starts at 12 or 13, according to the report prepared under CHP Deputy Chair Veli Ağababa and also printed as a book. The project was initiated after the photo showing the body of Alan Kurdi, a three-year-old Syrian boy who washed ashore in the Turkish resort of Bodrum on Sept. 2 last year, shaking the world. Launching the report on June 20, Ağbaba said it was the result of a 10-month study. 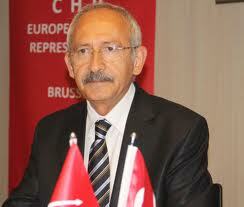 “The [Justice and Development Party] AKP’s approach is not a contemporary one based on human rights. Refugees in our country face vast human rights abuses and are used as a bargaining tool for the AKP to reach its political goals,” he added. The report says that the state fails to prevent gangs in Turkey from exploiting the helplessness of Syrian women, while it quotes witnesses as saying that Christian Syrians in Turkey are “in fear” due to the activities of some Islamist groups in the country. Nearly 2.5 million refugees in Turkey live outside the official camps, the report stated. “Families of 21, with 15 children, try to live on food assistance from neighbors, living in single-room houses with no bathroom or electricity. Babies die of cold, while young girls face sexual abuse in the name of so-called ‘marriages’ in exchange for house rent, or they are forced to become ‘second ’ or ‘third’ wives. All these things are being overlooked by the state,” the report said. Violence and xenophobia against refugees is also rising in Turkey, it added, also calculating that around half of the refugees in Turkey are under the age of 18. It cited sources as saying that up to 5 percent of Syrian children in Turkey are forced to marry or sold as third or fourth wives. The municipality of Seyhan, a district in the southern province of Adana, concluded in a recent study, also included in the CHP’s report, that around 16 percent of refugee children in the district between the ages of 12 and 17 were “married.” Some 40 percent of the girls in this category are pregnant, according to the report. The CHP’s inspectors also witnessed children as young as 5 working at textile manufacturers, a sector where child labor is widely abused. Meanwhile, the Peoples’ Democratic Party (HDP) also issued a press statement to mark International Refugees Day, calling on Ankara to provide a permanent status to refugees – rather than seeing them as temporary guests – in order to fully undertake the state’s legal responsibilities. “The political authorities are today continuing an unethical and unlawful bargain with the European Union, violating international and human rights law, instead of taking steps to lift its reservations on items of international agreements,” the HDP stated.